Plans to build a new primary school on land occupied by the derelict and vacant Putney Hospital can now move forward after pressure group Friends of Putney Common lost their High Court bid to block the scheme. The hospital was closed to patients in 1999. 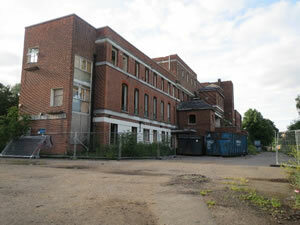 It has remained vacant ever since and was acquired by the council as the site for a new school in 2012. 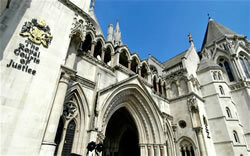 On Friday 8th November the court rejected an attempt by objectors that could have derailed the plans for the new school. In addition on 7th November, the borough’s planning committee approved a planning application for the new school, which will eventually cater for 420 pupils and help meet the growing demand from parents in this part of Putney for additional reception class places. The council has always argued that there is a shortfall of space and that more are needed to keep pace with the rapidly expanding school-age population. According to the latest GLA population figures, the number of children being born in the borough rose from 4,359 in 2003 to 5,477 in 2011. In Putney’s Thamesfield ward alone the projected shortfall of reception class places could be as high as 45 in the years running up to 2020. The council has stated that the cost of demolishing the derelict hospital buildings and building a new school will be largely funded by the sale of land for 24 flats at the northern end of the site, which is currently occupied by the disused nurses’ accommodation block. The flats were also approved at last night’s committee. This means that the cost of building the school is borne mainly by the developers rather than local council tax payers. The council say that, "Only a little over half of the land which was used by the hospital is needed for the new school and flats. The rest of this brownfield land, which is now mostly covered in buildings or tarmac, will be grassed over to form an integral part of the green space of Putney Common". Click here for the response from Friends of Putney Common. The need to provide extra school places in the borough was highlighted recently by research carried out by the Local Government Association, which showed that demand for a reception class place is set to rise by 15 percentage points between now and the start of the 2016/17 academic year. In numerical terms, the LGA found that demand in Wandsworth could rise from its current level of 17,949 places to an estimated 20,481 over the next three years. The council has already taken steps to meet this rising demand. Over the past three years 25 new reception classes have been provided and there was strong support for new free schools which opened at the start of this academic year in Tooting, Balham and Roehampton. 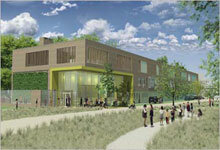 The council has also drawn up proposals for a new 420 pupil school at the soon-to-be-vacant Atheldene Centre in Earlsfield and for additional classes at five other primaries next September. As well as an increased birth rate, the rise in demand is also being attributed to the sustained improvements in teaching and learning at the borough’s schools. School standards watchdog Ofsted currently rates 92 per cent of Wandsworth schools as good or outstanding. In comparison only an average of 74 per cent of schools in other parts of the country, and 80 per cent in London have been given the same quality rating by Ofsted inspectors.